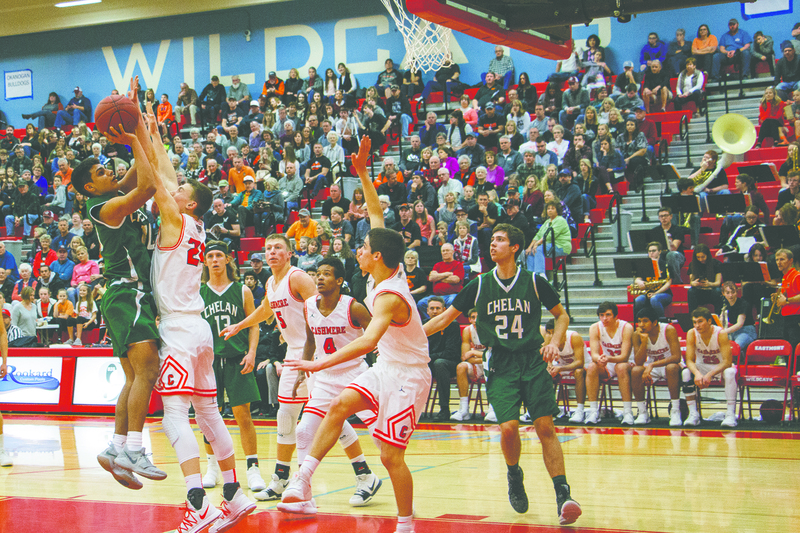 Bert Mendivil shoots over a Cashmere Bulldog defender during the district playoff match, Saturday, Feb. 10 at Easmont High School in East Wenatchee. 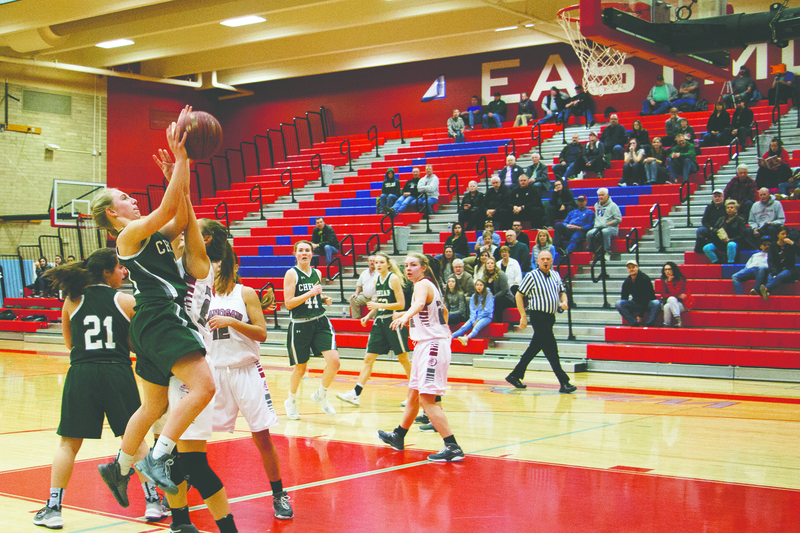 Booh Huddleston soars inside the key for a Lady Goats basket against the Okanogan Bulldogs. 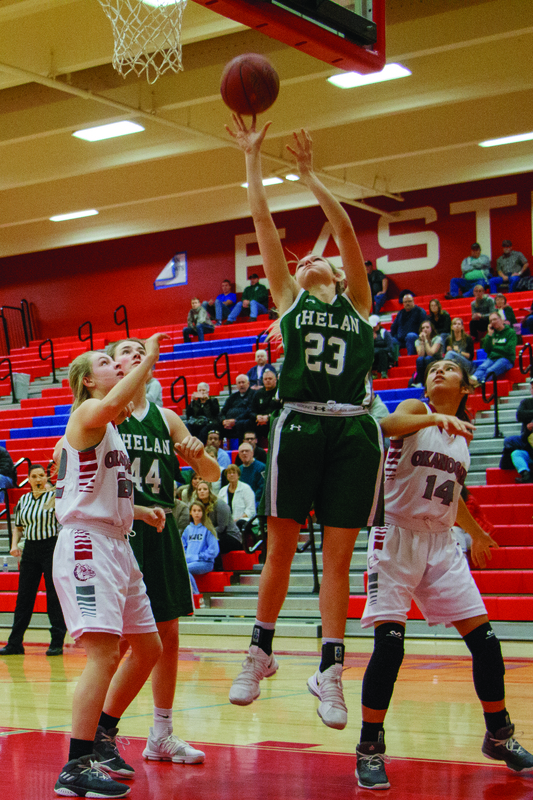 Okanogan defeated Chelan in the final minutes of the game, with a final score of 41-50. 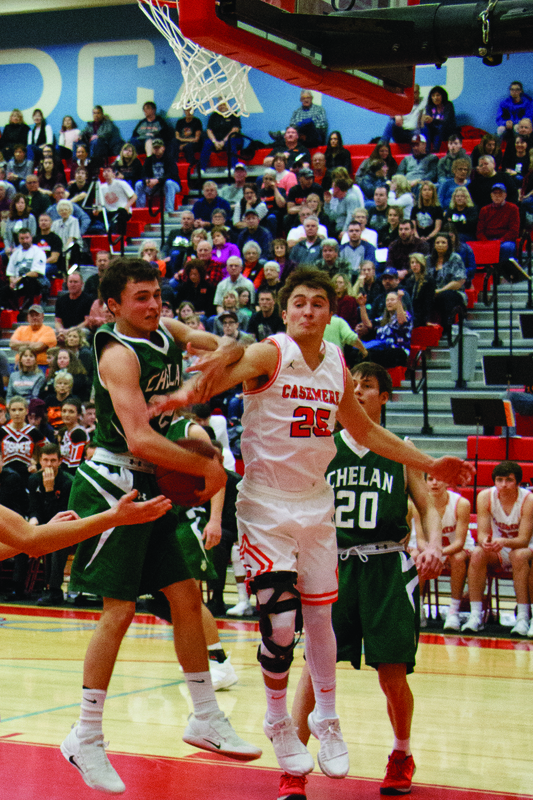 Dawson Roberts secures a rebound from the Bulldog’s Jacob Ball. The Goats were eliminated from the playoffs after their defeat from Cashmere with an end score of 38-61.